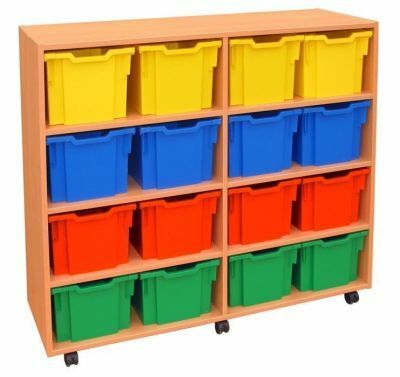 High capacity mobile jumbo education storage units come with a choice of fifteen coloured and 5 translucent finish tray options. 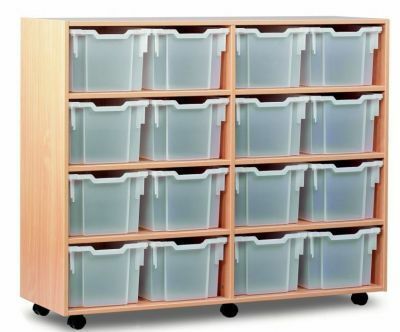 These units are mounted on castors for easy mobility across different floor surfaces. Manufactured from 18mm thick MFC panels and finished in Beech. 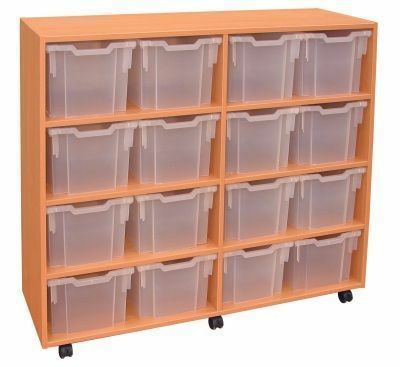 Supplied assembled and available for free UK mainland delivery. Lead time 7-10 days.